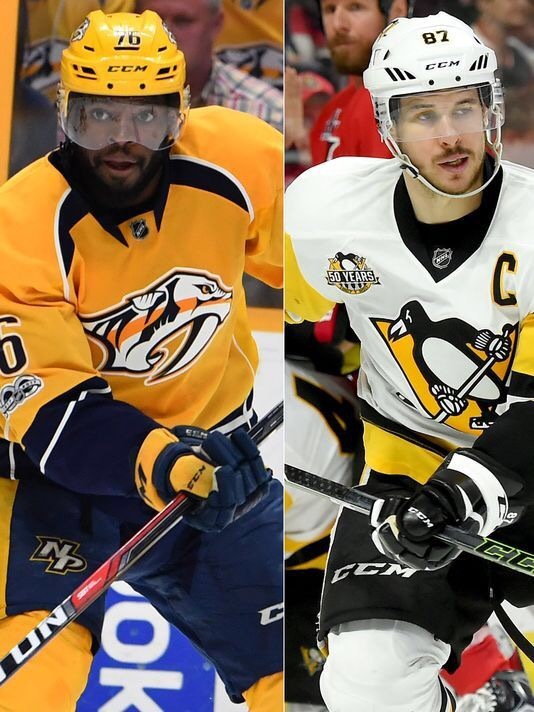 Can The Predators Dethrone The Penguins? Here we are. The Stanley Cup final. I never imagined that the Nashville Predators would be here. It’s an amazing time to live in the Music City. The Predators have exceeded all expectations. Swept the Chicago Blackhawks in the first round. Eliminated the St. Louis Blues in six. Then out hustled the Anaheim Ducks in six physical games. The Predators have not trailed in any of their playoff series so far. So how will they do against the Pittsburgh Penguins? The Penguins are overwhelming favorites to repeat as Stanley Cup champions. They have the experience with having won four cups in their history. They have a superstar in Sidney Crosby. The Penguins have dispatched of the Columbus Bluejackets in five games, Washington Capitals in seven and the Ottawa Senators in seven. I think it’s going to be difficult for the Predators to defeat the Penguins. This series might really show how much Ryan Johansen’s injury will hurt the Predators’ matchups with the Penguins. The Predators still have a problem with shot selection. They make too many passes looking to set up the perfect shot. They also have too many breakdowns on the defensive end which an experienced championship team like the Penguins could exploit. The one wildcard in all of this is Pekka Rinne. He has been the best Predators’ player in several games. It will depend which Pekka shows up in the final as to how successful the Predators will be in competing with the Penguins. I do not think the Predators have enough to overcome the Penguins. Although I would love to see the Music City to win the Stanley Cup, realistically I think the Penguins will repeat in five games. Can You Be A Believer And Not Attend Church? Why Are We So Impatient?